Check in at the Floating Store at the marina, inside the main entrance to Patoka Lake (past entrance gate, second right, follow signs for marina). Don't forget to get any last minute supplies at Patoka Station before heading into the park. DNR gate fees apply. 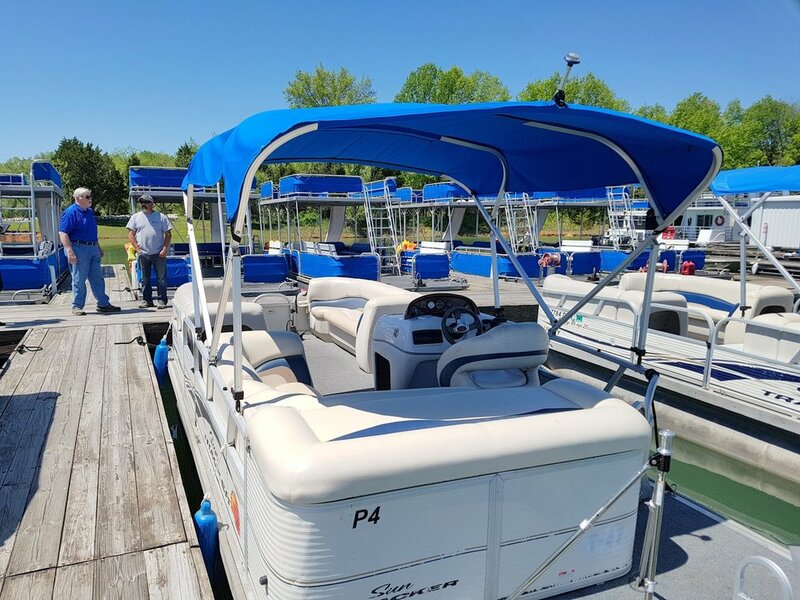 Consider a midweek trip to Patoka Lake - you could save money and it will be less crowded. Special deals also available off-season in April & October. Continue the Fun - Keep your rental out on the water past 6pm! Only $50/hour. Some restrictions may apply. Some pet friendly boats (8 Passenger Standard Pontoons) may be available ($25 surcharge). Taxes and fuel not included. 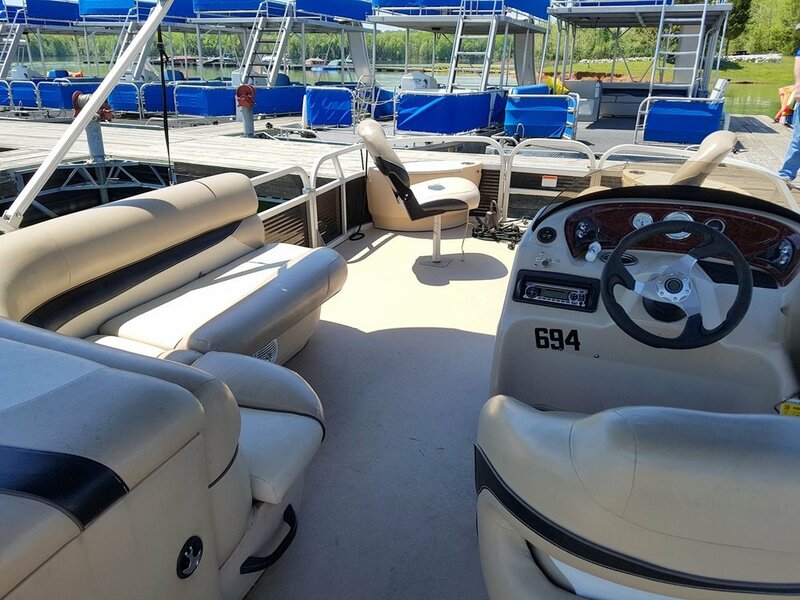 View reservations info, boat rental terms and conditions, and cancellation policy. An awning provides some shade. 2 swivel fishing seats in the front, and 2 in the back. 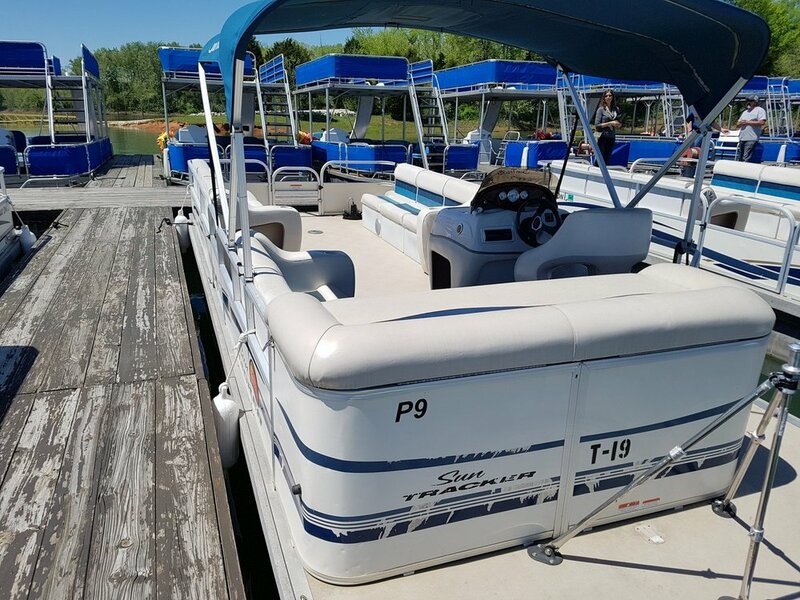 This pontoon is capable of pulling a tube. Nice cushioned seating for 8 people. No dogs or grills allowed. This pontoon is made for fishing. 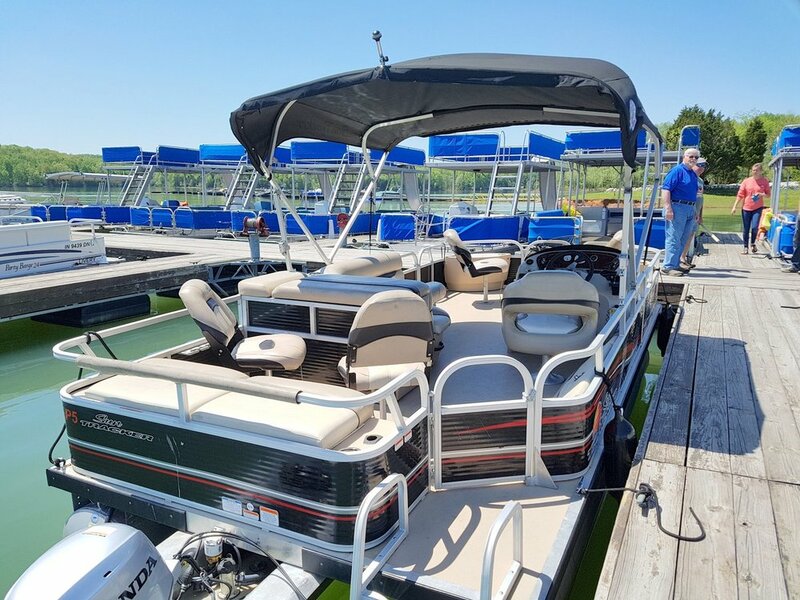 Larger pontoon holds a maximum of 12 people. This boat is also capable of towing tubes. Boat rental period from 9am to 6pm. Assorted sizes and styles available for rent, first come-first served.